Hi Friends! It’s Jody, family farmer and Moink Customer Service Extraordinaire! It’s that time of year again, when we start counting our blessings and naming them! For family farmers, the gratitude list can look a little more unconventional. Here are just a few things that make us thankful! We farmers are thankful for every type of weather that’s thrown at us. Rainy days allow us to time to get the shop cleaned, laundry caught up, and honey-do lists tended to. We are of course thankful for the sunny days that provide full-on go time to get all our work done, from cutting, raking and baling hay, to spreading manure and moving our livestock to fresher greener pastures. We are even grateful for snow days that help fend off sickness, kill off pesky bugs, and give us time to snuggle with your loved ones by the fire with a nice mug of hot chocolate. Just kidding, we don’t actually get to do that! It’s more like chugging a cup of coffee on the way out the door! Yep, you read that right. A good old extension cord is worth its weight in gold. You see an extension cord runs the farm, from supplying power to a heat light that helps keep precious baby animals warm during the bitter cold, tokeeping the tractor plugged in during the bitter cold so the diesel doesn’t gel up. Or running a fan to keep the critters nice and cool. It also runs those power tools that we use. It’s not exactly exciting, but you can never underestimate the power of a good pair of socks, preferably a wool or wool blend for braving the elements. Ever met a farmer with clean work boots? Me neither. We muck through stuff that shouldn’t be mucked through, we walk more miles than should be walked checking livestock, making sure fences are up and animals are not running free everywhere. Our poor feet take a beating, and good clean dry socks help make this job a bit more bearable! Most folks have at least one pair of pliers in their tool box at home. But we farmers couldn’t survive without this fancy little tool. From needle nose to channel locks, vise grips to nippers, we need them all. They all serve their own purpose and without them, well nothing would ever get done! This handy tool helps us mend fences, take apart a ridiculously stuck water tank drain, or remove a splinter in the middle of wood cutting. Rain or shine, we farmers have to protect our heads! A ball cap with mesh can shield us from those hot summer days when we need to keep the sun out of our eyes. We love a nice ball cap sporting our friends’ farms and business for those times we want to show a little support for our neighbors. We also love a good stocking hat to keep our ears toasty in the winter. And on a rainy day, a nice wide cowboy hat keeps us warm and dry. Every good farmer relies on the town’s old timers, you know the kind. The old men sitting at our local hardware store or uptown drinking coffee, the old ladies clucking away at the latest town gossip. What would we do without their sage wisdom? We can always count on them to give us their two cents when it comes to canning, predicting the weather, and the best time to plant. They are the original Google! I’m not talking your big chain, corporate kind of stores. I’m talking about your real deal, closed at 5 p.m. Monday through Friday, noon on Saturday and home on Sunday kind of store. But if you need something after hours just give them a call. The kind that has it all from hot wire fence insulators to toilets, from dog food to the occasional child’s toy. The kind of place that still provides those kids with a tootsie pop every time you come in and knows not only your name, but also your family history. Along with a little elbow grease, this tool can help us dig that post hole, plant our veggie gardens and serve as a nice leaning post when we need a little break. Family farmers are nothing without their families! We all have a special person or two that understands our passion and struggle, who helps us when we’re down, and who brings us back down to earth when everything is going crazy. At the end of the day, they can help you make sense and even laugh at all the struggles of farm life! Last but not least, where would we be without the people who buy our meats? We are so thankful that there are consumers out there who realize that what we are doing is worth while even though it’s not the norm. 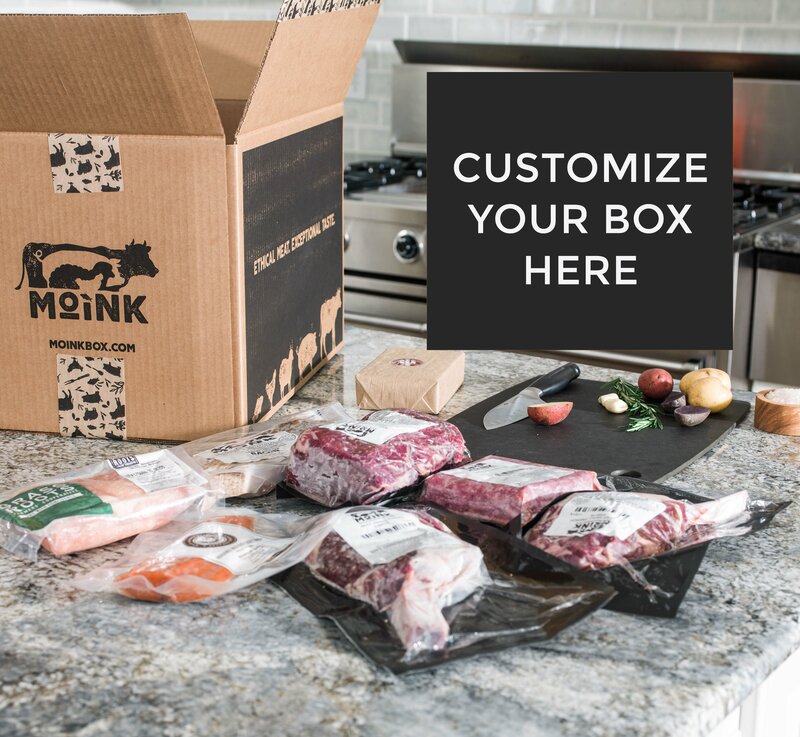 We love the tender-hearted carnivores that make up the Moink family, the people who understand the value of wild-caught, grass-fed and pasture-raised meats and make all our hard work worth it. From our family to yours, we thank you!